For our 530 apartments in Budapest, we show actual room availability. Andrassy Avenue. This magnificent street in the centre of the city was founded in 1870. The avenue, that resembles world-famous Avenue des Champs-Élysées, lies between Erzsebet Square and Heroes' Square. Every year this beautiful place hosts famous Budapest Parade. Deep in the ground under Andrassy Avenue there is the underground Millennium line, which was built in 1896 in honour of the change of centuries. In 2002 Andrassy Avenue and this underground line were added to the UNESCO World Heritage List. In case of a doubt, please contact us via the contacts below regarding your booking of an apartment or apart-hotel in Budapest, Hungary. 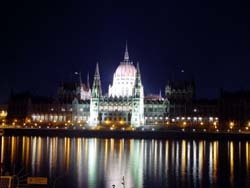 OrangeSmile.com provides 530 inexpensive and comfortable apartments in/near Budapest - often with hot deals and last minute discounts.